WINSTON-SALEM, N.C. - Oct. 22, 2018 - PRLog -- Ruiz Food Products, Inc. in Texas and Bakkavor Foods USA, Inc., with facilities in California, North Carolina and Pennsylvania, both are recalling approximately 3.3 million pounds of ready-to-eat meat and poultry products that contain an onion ingredient that may be contaminated with Salmonella and Listeria monocytogenes. The recall alert was released by the U.S. Department of Agriculture's Food Safety and Inspection Service (FSIS) over the weekend. 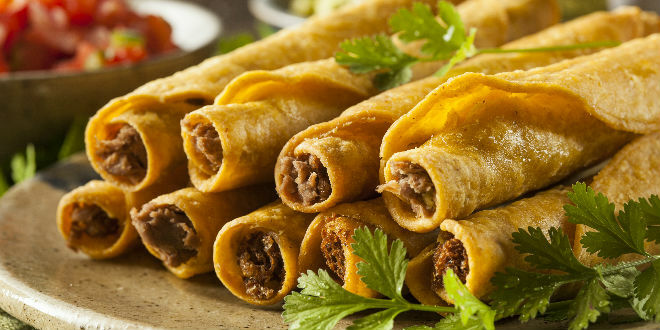 Ruiz Food Products Inc., based in Denison, Texas, is recalling approximately 2,490,593 pounds of ready-to-eat meat and poultry taquitos, produced from July 1 through Oct. 10, 2018. Bakkavor Foods USA, Inc., with locations in Carson, California, Charlotte, N.C. and Jessup, Pennsylvania, is also recalling approximately 795,261 pounds of ready-to-eat meat and poultry products that contain an onion ingredient that may be contaminated with Salmonella and Listeria monocytogenes. The ready-to-eat meat and poultry items were produced from Sept. 27, 2017 through Oct. 15, 2018.